Share playbooks and success units with your customers. Playbooks are a great way to keep track of your customer activities. They are especially useful for repeatable processes, such as onboarding a new customer. Success Units allow you to track the adoption of your features, modules,or products. 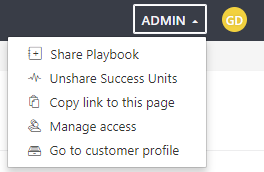 Playbooks and success units can be shared with your customers via a shareable link. Follow the steps below in order to enable the Shared View for a customer. Note this is only available to users with the ‘Administrator’ role in Planhat. The 'Shared View' button will now appear as a tag on the customer's profile. Simply click this link in order to access and configure the shared view. When you access a shared page for the first time it will look empty. To configure the page, click on the 'Admin' button in the top-right hand corner. This will allow you to share success units and playbook(s). Any files you've attached to a playbook task will also be available for your customers to download. If you share a manual success unit anyone who has access to the shared view can provide a score. On the topic of access, this is also where you'll be able to manage user access. 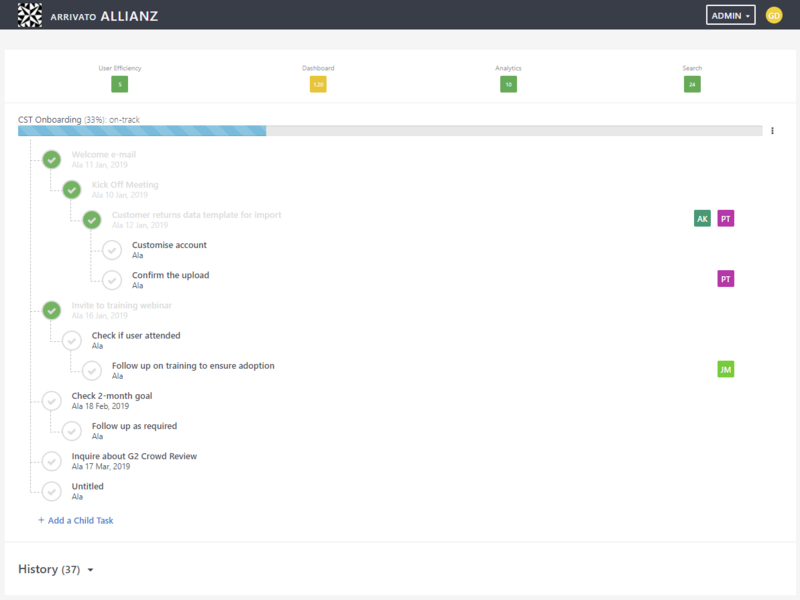 After you have finished customising your settings, just share the link to the page with your customer(s) and they will be able to see the same view as you (excluding the Admin functionality of course). If for any reason you want to disable the shared view, just follow steps 1-3 above and in step 3. click 'Disabled Shared View'. Feel free to contact us if you need any help with setting up a shared view or if you have any feedback you would like to share with us!